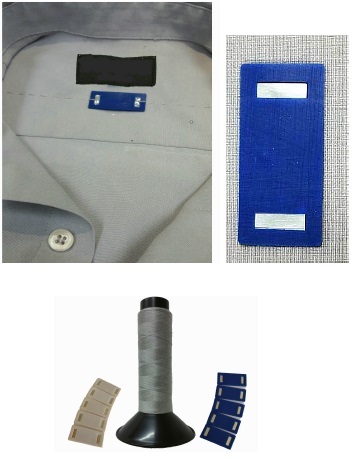 HONG KONG — July 22, 2015 — Today, Convergence Systems Limited (CSL), a global provider of passive RFID products and active RTLS equipment, introduced a revolutionary new radio frequency identification (RFID) metalized thread tag for a range of industrial laundry, textile and uniform market applications. “The innovative CS8200 RFID tag from CSL offers an outstanding solution for inventory management of uniforms and linens,” said Jeffrey Chau, executive director of Farbo Uniforms. "The tag has surprisingly long read range performance and durability, exceeding 160 industrial wash and dry cycles in our on-going independent test processing." Founded in 2000, Convergence Systems Limited is a leading design engineering company and provider of radio frequency ID (RFID) tags, readers, antennas, modules and custom RFID hardware. CSL is unique in providing both passive Electronic Product Code™ (EPC) Gen 2 RFID products, as well as a full line of active RTLS RFID products. CSL delivers a broad portfolio of RFID hardware for logistics management, supply chain, manufacturing, pharmaceutical, access control, transportation and retail industries around the world. A member of standards organization EPCglobal, CSL is headquartered in Hong Kong with a global distribution channel. With a rich heritage dating back to the 1750s, Coats is the world's leading industrial thread and consumer textile crafts business, at home in more than 70 countries, employing over 20,000 people across six continents. Revenues in 2014 were US$1.7bn. To find out more about Coats visit www.coats.com.